Since moving to the Cayman Islands more than 30 years ago, Jeanette has watched Grand Cayman Island transition into a world-class destination and a highly sought-out investment market. She, along with her husband Robert, has owned property all across the island and is extremely familiar with each area’s real estate history and projected growth and development. 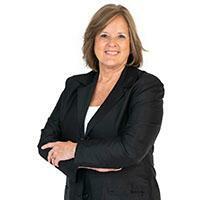 For more than 26 years, Jeanette has sold real estate on the island and has become a well-respected industry leader with hundreds of satisfied clients, many of whom now work exclusively with Jeanette when they buy additional investment properties on the island. In 2004, she teamed up with Robert to open Cayman Luxury Property, with the desire to offer a real estate company that provides the best possible service and insider insight for her clients. Robert’s engineering and construction background complements Jeanette’s expertise in the Cayman Island’s real estate market. Together, they have one of the most comprehensive understandings of development, construction, sales and real estate procedures in the Cayman Islands. 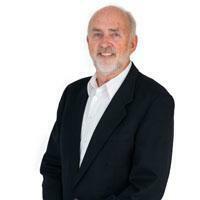 In addition to having more than 40 years of experience in the construction industry–with more than 30 of those years here in the Cayman Islands–Robert holds a degree in Engineering with a minor in Business Management.